1. Move points A and B until the base angles are the same measure. 2. Place a point at the intersection of the two rays. 3. 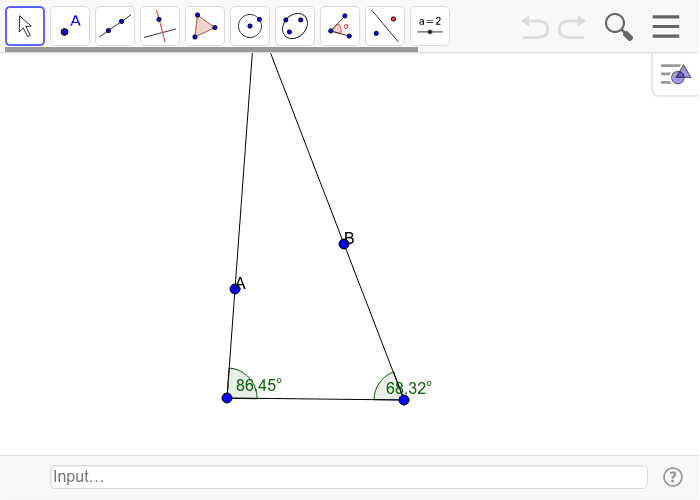 Measure the sides of the triangle. Do they equal each other? 4. Save your work.